Traditional braces can give you a beautifully straight smile, but getting there sometimes comes with certain challenges! One of those is maintaining an effective dental hygiene routine. Brushing and flossing with braces can make it more difficult to clean your teeth thoroughly. If plaque isn’t removed daily, it can build up into an invisible, sticky film, producing bacteria that can lead to a minor gum disease known as gingivitis. Anyone can develop gingivitis, not just those wearing braces, but it can accompany orthodontic treatment. The good news is that gingivitis is reversible and you never need to wait until the end of orthodontic treatment to get rid of it. But what exactly is gingivitis? And how can you reverse it once you have it? Keep reading to find out more! Accumulating plaque while you’re in braces can be much more severe than when you’re not. This is due in part to the way braces can push food particles into the brackets when you bite. Some of this will easily rinse out, but some of the debris that gets caught in the tiny spaces between your gums, teeth, and brackets can be very difficult to clean effectively. Because bacteria live and breed in it, any plaque that’s stuck near the gums can cause gingivitis. Gingivitis is basically an immune reaction by your gums in an effort to keep bacteria at bay. It causes inflammation that results in swelling in the gums. This inflammation brings the capillaries closer to the surface, leading to possible bleeding and pain if left unchecked. Orthodontics are a kind of controlled inflammation, as this helps the gums become more relaxed, making it easier to guide the teeth into their new positions. Since your gums will already be inflamed when you’re in braces, it makes it even easier for bacteria to irritate them, as they are already under so much stress as they attempt to create an immune reaction. As you can see, it’s really easy for inflammation to get out of hand if you’re not careful, with the gums sometimes swelling enough to obstruct the brackets if left untreated. If gingivitis is not treated, a condition called periodontitis can develop. Periodontitis is the more severe form of gum disease. Over time, the body will attempt to naturally fight off the byproducts of the bacteria by breaking down the bone and connective tissues that hold the teeth in place. The gums will begin to recede and pockets will form in between the teeth, leading to potentially serious damage. Normally, brushing and flossing thoroughly and regularly, along with the use of mouthwash, is enough to stop gingivitis in its tracks. However, when we have a patient in braces, the ordinary method of flossing can be difficult, if not impossible, and much less effective. Frustrated by this, many people end up abandoning their flossing altogether, which of course creates a situation in which gingivitis is almost guaranteed to happen! As we’ve discussed, brushing and flossing effectively can be difficult for people with fixed braces. Studies have shown that using an interdental brush is one of the best ways a patient in braces can remove plaque. Interdental brushes are thin, round or cone-shaped brushes with a small head of bristles held on by wire. Some of these brushes have short or specially shaped handles to make them easier to grip, while others have long handles that are similar to toothbrushes. They’re designed to be inserted between the teeth gently, reaching those tight spaces where plaque is likely to build up, and can be reused several times as long as you brush after each use just like a regular toothbrush. They do come in different sizes, so make sure you choose one that can comfortably fit in between your teeth without having to force it. Don’t let a little plaque scare you away from straightening your teeth! By following our advice and keeping a close eye on your oral hygiene, you’ll be ready to spot any dangerous dental signs before they get out of hand, and act on them accordingly. Remember that regular brushing and flossing is the best way to prevent plaque from breeding bacteria, it just takes a little extra effort when you’re in braces. 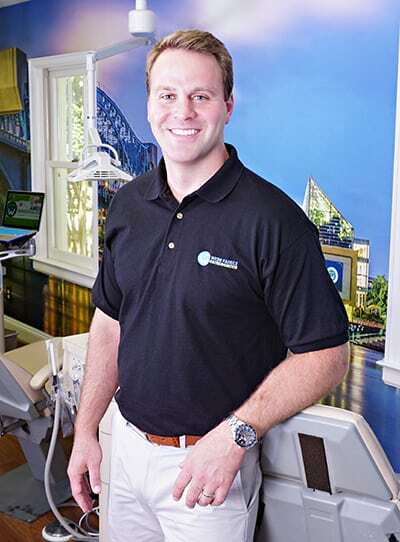 Here at Webb Family Orthodontics, we care about you and your smile, and we want your orthodontic experience to be as comfortable as possible! If you notice any of the gingivitis symptoms we’ve talked about today, or if you’re feeling any major discomfort with your braces, don’t hesitate to get in touch with our office for help. We’ll schedule an appointment for you at one of our convenient locations and check to see what’s causing your discomfort, as well as provide you with tips on how to keep your smile healthy when you’re at home. With offices in Hixson and Soddy Daisy, we’re sure to have a location close to your home, school, or work, and we even offer a free initial consultation if you’re not currently a WFO patient. Whatever your questions or concerns may be, we’re ready to help you get your smile back on track, so get in touch with us today!